Looking back now at the Justice Department’s conduct, I realize that I made one egregious error: I naïvely believed that the task force simply wanted the truth. Four years and millions of dollars later, this case closed with a no-jail-time minor misdemeanor wrist slap—the equivalent of a traffic ticket for failing to get BP’s permission before deleting text messages with a close friend. The total misjudgment and mismanagement of this case by the Department of Justice should alarm everyone who cares about an impartial and professional legal system. This case is the new poster-child for what prosecutors should not do. The spill was a tragedy, which has only been made worse by the prosecution of Mix who deleted innocuous email texts while working long hours to find a way to stop the oil spill. NEW ORLEANS—A critical moment in the government’s case against Robert Kaluza, who was facing a criminal charge for his role in the 2010 BP PLC oil spill in the Gulf of Mexico, came when a former colleague was called to testify. Late Thursday, a jury took less than two hours to find Mr. Kaluza not guilty of the charge he had ignored warning signs leading to the explosion. It was an ignominious end to the final case in the government’s effort to find individuals criminally responsible for the blowout on the Deepwater Horizon. In the four years since the U.S. began its cases against five men, prosecutors withdrew 23 counts before trial, judges dismissed 23 others and jurors acquitted on three counts. The three guilty pleas the government secured were all misdemeanors, and the men received or will likely receive probation. The outcome, stemming from the largest oil spill off the U.S. coast, in which 11 people died and more than three million barrels of oil poured into the Gulf, is a reminder how hard it is to find individuals culpable for catastrophes where companies were held responsible. Defendants and their attorneys successfully argued that many people made errors contributing to the disaster and the problems with the cleanup. Judges dismissed charges, implying that prosecutors had overreached, and one made clear he thought the charges had turned a series of mistakes into a criminal act. 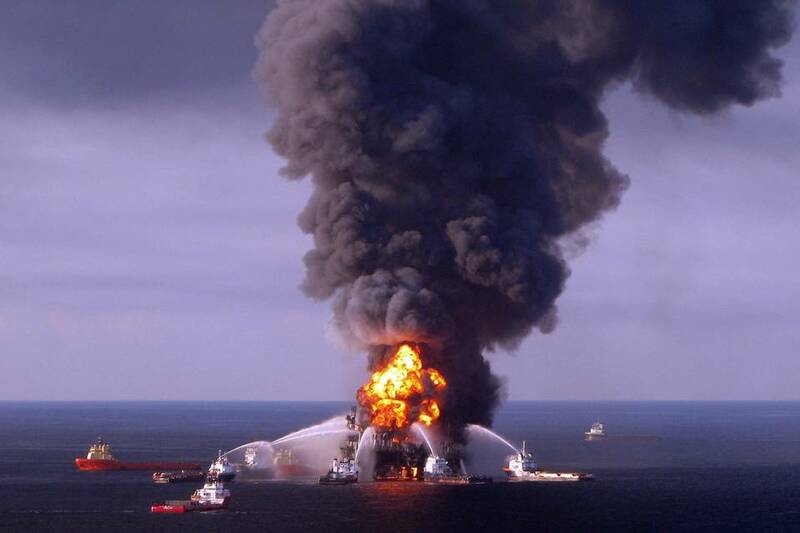 In 2012, BP paid $4 billion in criminal penalties and pleaded guilty to an array of crimes connected to the spill, including manslaughter charges based on Messrs. Kaluza and Vidrine’s alleged negligence. The outcome of individual cases means BP is in the odd position of having pleaded guilty to crimes tied to charges against its employees that were dismissed by courts. BP spokesman Geoff Morrell declined to comment for this article. Early after the disaster, in 2011, the Justice Department consolidated all the BP investigations into a special task force, giving it a status reached by few cases besides the accounting fraud at now-defunct Enron Corp. Under pressure from Congress and the public after the 2008 financial crisis, in which few executives were charged with crimes, it brought around 50 criminal charges, some carrying penalties of up to 10 years in prison. Prosecutors alleged that Mr. Rainey obstructed Congress and lied about how much oil was leaking from the well. A BP drilling engineer, Kurt Mix, was charged with obstructing justice by deleting text messages related to efforts to stop the spill. Anthony Badalamenti, a manager at Halliburton Energy Services Inc., which provided services to the drilling rig, was also charged with destroying evidence. Messrs. Kaluza and Vidrine, the top supervisors at the well site, faced the gravest accusations, stemming directly from the death of 11 men. Each was charged with 11 counts of “seaman’s manslaughter”—an 1830s-era statute enacted to address steamboat collisions—for negligence leading to death at sea, plus 11 more of involuntary manslaughter based on “gross” negligence, each carrying a potential penalty of 10 years in prison. “Make no mistake: While the company is guilty, individuals committed these crimes,” then-Justice Department official Lanny Breuer said in announcing the cases in November 2012. A lawyer for Mr. Kaluza, David Gerger, said: “We are grateful for the jury: they understood technical evidence, and justice was done.” A lawyer for Mr. Vidrine, Bob Habens, declined to comment. A lawyer for Mr. Badalamenti, who pleaded guilty and received probation, didn’t respond to a request for comment. Prosecutors were stymied by unexpected hurdles, including when one case was largely dismissed in a way they couldn’t appeal, and a conviction vacated due to problems with the jury.